Have you got a thirst for knowledge? This take home version of the classic pub challenge allows you to host a series of epic head to head contests…. with all the fun and drama of a Quiz Night down the pub! Played as a challenging multi round competition, teams compete to earn the greatest overall score...whilst the all important 'Joker' round lets you double up on your favourite subject. 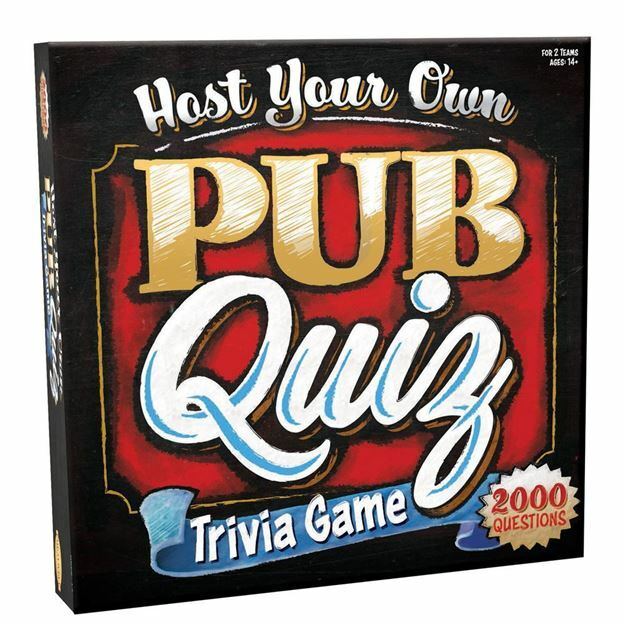 Jam packed with fun, Pub Quiz comes with enough questions for you to host 50 game contests - scored round by round on the special flip chart scorers. So, get your mates round, brush up on your general knowledge, sharpen your pencils and let the battle commence!